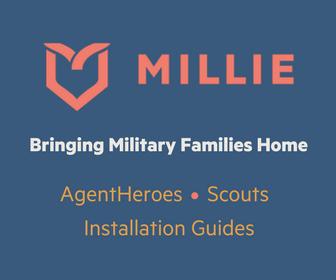 Get our 10-day Military Savings E-Course FREE! Inside: Why formula feeding moms need support, not judgment. I have a favor to ask. I promise it’s not a big one, and I really want you to hear me out. First though, I have a confession to make; I was a little judgemental towards formula feeding moms. I’m not proud of it, and now I’m nothing but ashamed. The truth of the matter is that it used to be a choice. I say “used to” because it’s really not a choice anymore- you are pressured into breastfeeding and when you don’t, you are judged. You are judged by doctors, you are judged by family and friends, and you are judged by moms that know nothing about you. I knew I wanted to breastfeed. As soon as I found out I was pregnant, I knew that’s what I wanted. Not because I would be judged if I didn’t, but because I am a nurse and I knew it was the best option for my baby. I didn’t understand why other moms didn’t see that. My son was pretty good at breastfeeding from the start, we had no issues and I was so thankful for that. Don’t get me wrong; the first three weeks were the hardest! They were long and painful and I seriously started to understand why some moms choose not to do it. But I pushed through; not only did I want to feed my son the very best, I had also convinced myself that it would help prevent SIDS (which I had serious anxiety about). It got easier and I knew it was the best thing for him. I went along with life, happily breastfeeding. He didn’t sleep through the night but he was certainly well fed, gaining weight, and happy. Then he was hungry all the time. I had been having gallbladder issues for a while. I ended up in the hospital while I was visiting my husband in tech school, they informed me that my gallbladder was basically overflowing with stones. When I returned home I went to the doctor, I had to do something because the attacks would be so painful that I wouldn’t even be able to move, sometimes for hours at a time- which isn’t exactly conducive to caring for an infant by yourself. When my husband came home, I decided to have the surgery. It’s not a major surgery and I was assured that I would be able to continue breastfeeding. The recovery was a little harder than I expected. I ended up having to have a second surgery because there was a stone stuck in the duct (which meant I was still getting gallbladder attacks without even having a gallbladder!) But then, I noticed my son was hungry all the time. My baby that never cried was suddenly fussy. I blamed it on a growth spurt. I thought he was having a growth spurt and thought maybe my milk wasn’t keeping up. 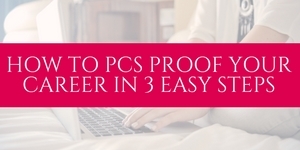 I tried taking supplements such as brewer’s yeast. A few weeks went by and he was still fussy. He wanted to eat all the time and I just didn’t understand it. Until I went to work. I only pumped when I went to work. Pumping wasn’t my favorite thing to do but it worked well when I was away from my son. Until the day I realized why my son was so hungry. The most I pumped in one sitting that day was 2oz (I normally pumped at least 6oz per sitting). I only had 4oz for that whole 8-hour shift. Whether it be a car accident or a surgery- every person’s body responds differently; mine stopped producing milk. I started to freak out. I started power pumping. I pumped after feedings to stimulate let down. I tried even more supplements. Nothing worked and the milk production decreased more and more. The more failed attempts I had- the more anxious and depressed I became. I cried all the time. I was devastated. I wasn’t ready to stop breastfeeding. The more anxious I became, the worse the production was. It was a vicious cycle. I convinced myself I was a terrible parent, because that’s what I thought. Formula=bad, right? I convinced myself that my son wouldn’t be healthy anymore and that I wasn’t doing enough. In reality, it was the opposite; his tummy troubles actually got better (gas, constipation, and reflux). In case you are going through this: we used Similac Sensitive, and this is the only bottle he would take. We also got coupons for the formula on coupons.com and saved money by purchasing it in wholesale. I knew this wasn’t the best thing for him anymore. It wasn’t good for me to be crying all the time. It wasn’t good for me to be stressed and attached the breast pump all day. I first tried supplementing with formula but my production stopped and I had to fully make the switch. I had to forgive myself. I had to allow myself to be grateful that I was able to give him as much as I could. He didn’t make the switch easy but luckily I had enough freezer milk to slowly wean him onto formula over the period of a month. I cried for weeks. Not only was I sad that I had to miss out on the bonding experience I loved so much, but I was also ashamed that I had ever judged someone for formula feeding. You don’t know someone else’s struggle. I felt so many kinds of shame. 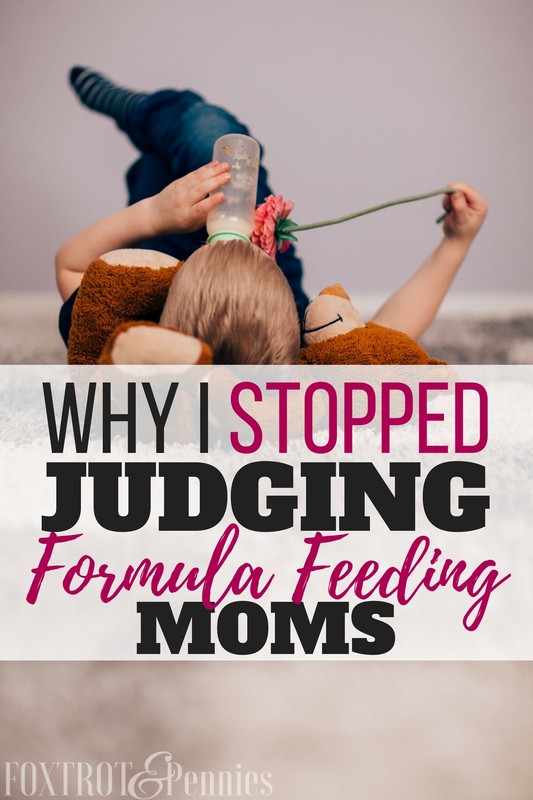 On top of my own insecurities about formula feeding, I felt the judgmental eyes of people every time I pulled out a bottle. I felt the shame at the doctors office when they asked what he was currently eating. I felt defensive every time someone questioned me about it. 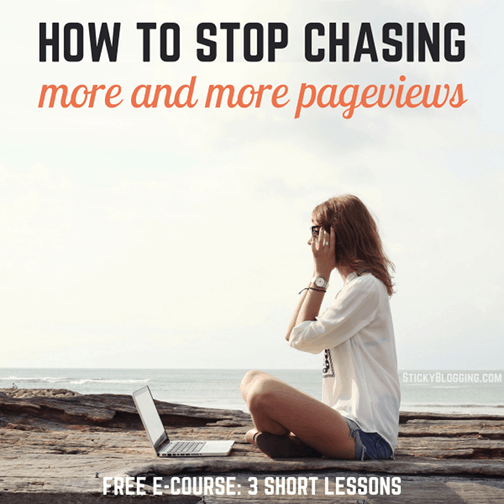 So I have one favor to ask you, and it’s not a big one- but it’s so incredibly important. I ask you to please understand. Understand that everyone has a reason for the decisions they make as a parent. They don’t have to explain themselves, but if they do- please be supportive. It’s not always easy being a mom, and we make it harder on ourselves every day. We need the love and support of those around us. We don’t need judgment, name calling, or mom-shaming. You don’t know someone else’s story, you don’t know their struggle. You don’t know about the days they spent crying, the pain of trying to make the best decision for their child. You don’t know how much they truly love and care for their baby regardless of what they feed them. Because at least they are feeding them. They are loving them. They are doing their best. Some of the links provided are affiliate links, these are provided for your convenience and I never promote products I haven’t used and LOVE. This was brilliantly written. Thank you for sharing your story. 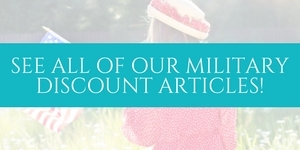 Our breastfeeding adventure was short, hard, and left me feeling unworthy as a mother. Left me feeling judged even though my body just never learned to produce enough. I hope this can help other mothers out there, that we have to do what is right for our families, for our babies. I know your pain! You did good for trying but I commend you even more for making the tough choices for your babies- you are a strong mama!! Hey! I’m Kara! 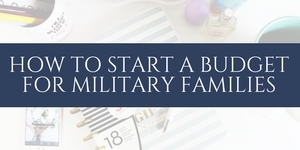 Are you a military spouse trying to save money? 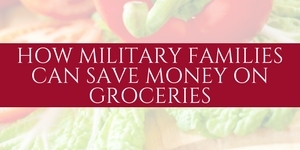 I totally get it, I we were one of the 620,000 military families that struggle just to buy food! 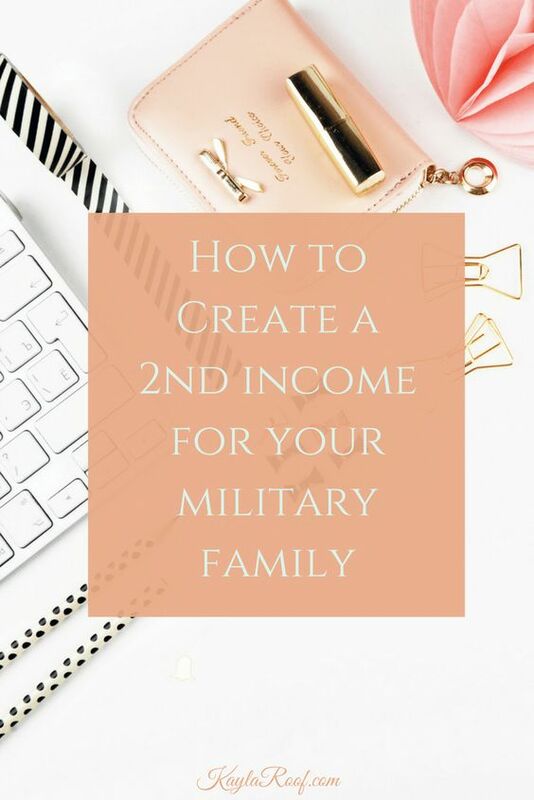 This is why I’m SO passionate about showing you how to use your resources to save money, make money, and overcome the challenges of military life. 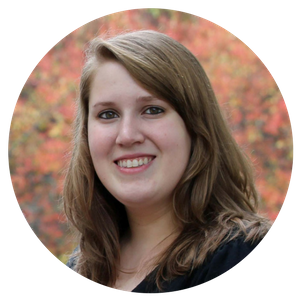 Learn more about me (and why I do this) here!